Purchasing items and stockpiling them when they are at a great price is a wonderful way to save money for your family. 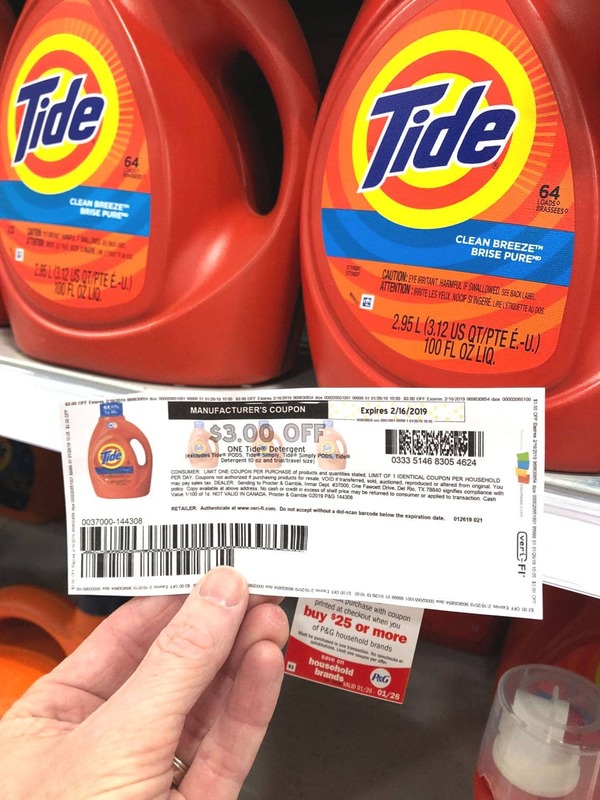 Learn the smart way to stockpile and print off your own high-value coupon for my favorite laundry detergent, Tide! There was a time in my life when I lived and breathed couponing. It was necessary at first, and then I kinda became a little addicted to it. There was something thrilling about going to the store and getting an item for a fraction of the cost. You may have seen some of those extreme couponing programs, I was a lot like them, but not to that extreme. I learned a lot of valuable lessons for this experience. The biggest lesson I learned is that doing this isn’t very practical for the average family including mine. We ended up with a ton of products we either didn’t like or didn’t use and they often went to waste. My stockpile also took up a lot of valuable real estate in our pantry and storage areas and it didn’t look so great. My experience taught me some reasonable lessons about saving money and I adopted a realistic approach to stockpiling items when it is a good time to do so. What I ended up doing is figuring out what products we love and use all the time and I made a list. Most of the time these products included our favorite brands but if that doesn’t matter to your family you don’t need to worry about that part. This list of our favorite products became my list of items that I could store in our pantry or in our storage area. The second thing I do is that I check our local store circulars every week to see if any of these items are on sale. I hardly ever purchase these items at full price. The idea of saving money starts with store sales and then moves on to coupons. Step 3 is finding the right coupons. The right time to stockpile is when there are high-value dollar coupons for the items your family uses the most. To maximize savings the idea is to combine these high-dollar coupons with a store sale and there is your time to stock up on as many as you can for your family. I stock the circulars and online coupon sites for high-value coupons about once a week. When I find a good coupon I get as many of them as I can. Those $2 off and $3 off coupons can add up to big savings for your family when you are purchasing items that would normally purchase anyway. Stick to this list and remember that it isn’t worth stocking up on things that your family will not use. Buying something for the sole purpose of saving money isn’t really saving money at all. If I need vitamins and there is a $2 off vitamin coupon, that is the time to purchase a couple of months worth. The pantry space you will need to store those items will be worth it. If there is a $4 coupon off of room spray, this would be throwing both money and space in my house away because we don’t use those types of products. I have done a pretty good job of saving money for my family using these three steps. I only stock up on the things I know we will love and use. 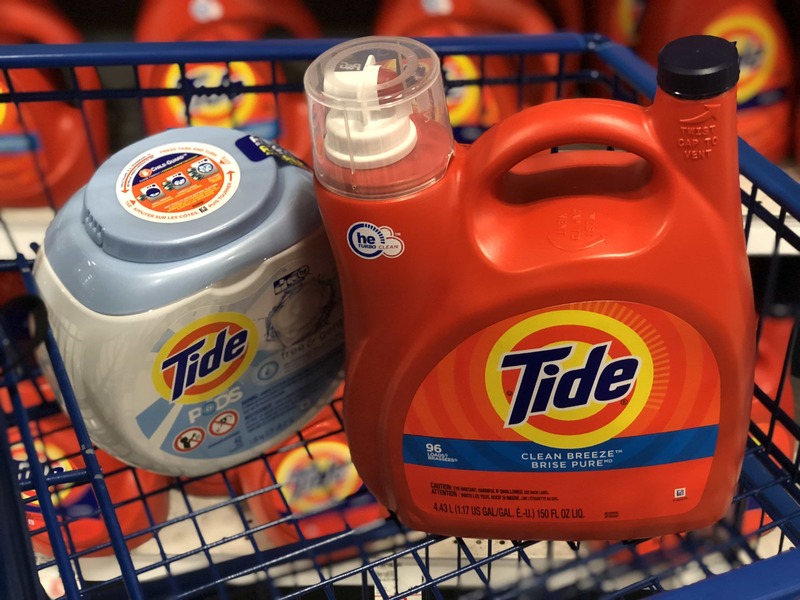 One of my favorite items to stock up on is laundry detergent, specifically Tide! 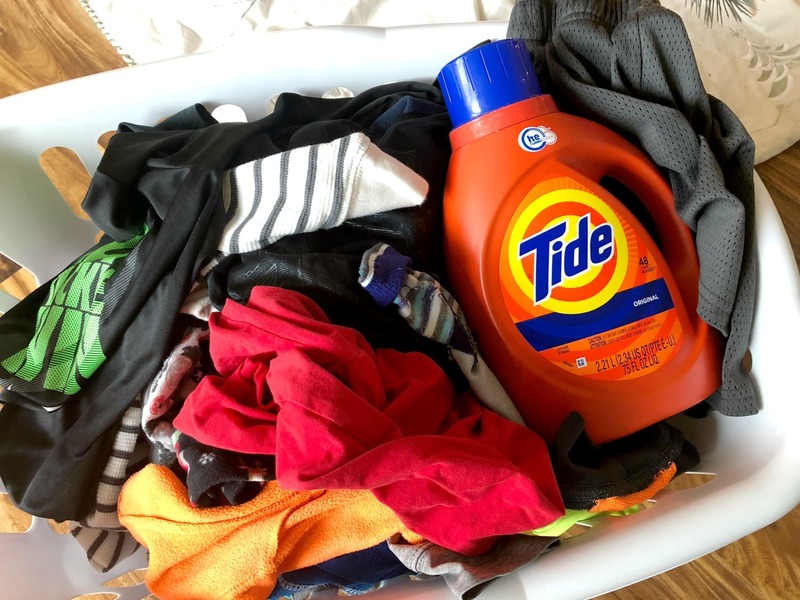 Not all laundry detergent is created equal and Tide is my favorite brand to stock up on. 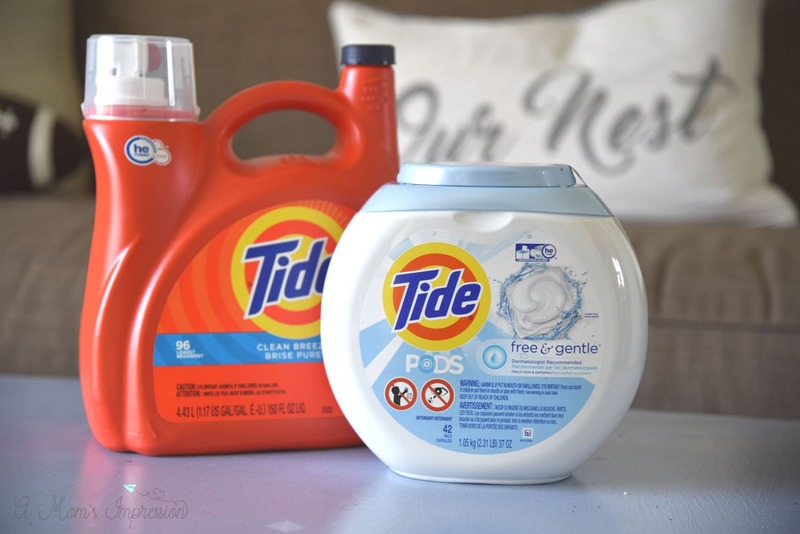 Right now P&G has two AMAZING high-value Tide coupons that you can take advantage of. And you can print them right here! These coupons are both good from starting 1/25 and can be clipped until 2/2. 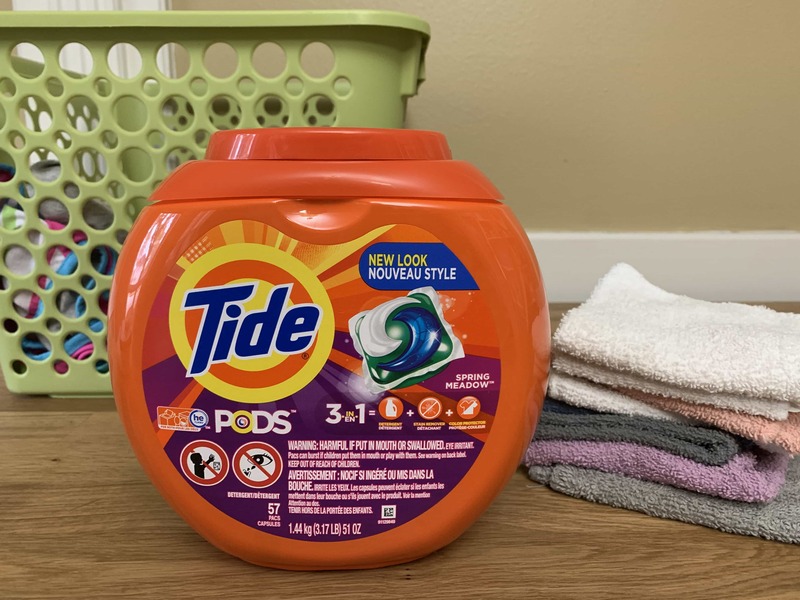 You can find a $3 Tide PODS coupon AND a $3 Tide Detergent coupon that can be used nationally, across all retailers. These offers cannot be stacked. We love Tide PODS and always have a few on hand with us when we travel. They are very convenient for road trips or if we are staying a longer period of time with family. New Tide PODS 2.0 have been upgraded with better stain and odor removal power and can handle the toughest of loads. As mentioned before Tide Detergent is our go-to brand because it fights stains so well. I know that my son’s soccer uniforms will come out clean on the first wash. Tide is also Consumer’s #1 trusted laundry brand in Readers’ Digest survey! 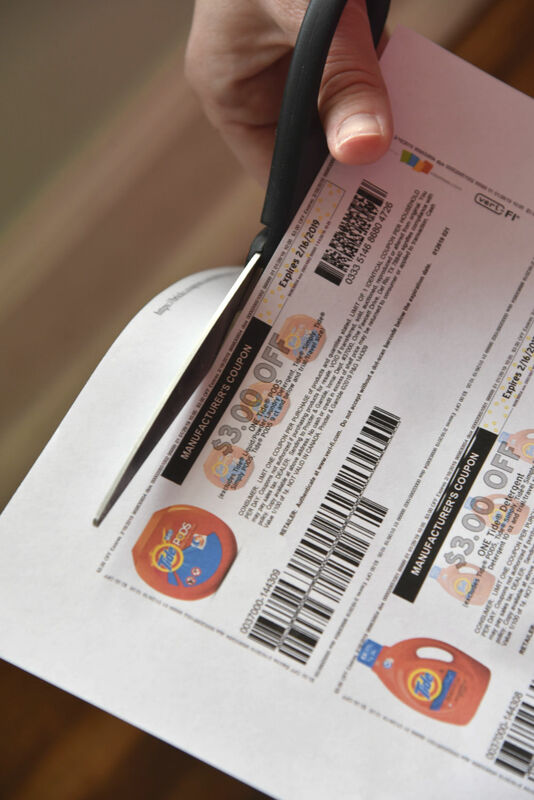 It is really easy to print your coupons at home. All you need to do is to head over to the P&G’s Brandsaver website. Login, or create an account if you don’t have one (takes a few seconds), add the coupon to your cart, click on your cart and print! So remember, it’s not just about getting products at a good price, it is about saving money on the items that your family loves and uses. This is the smart way to stockpile!